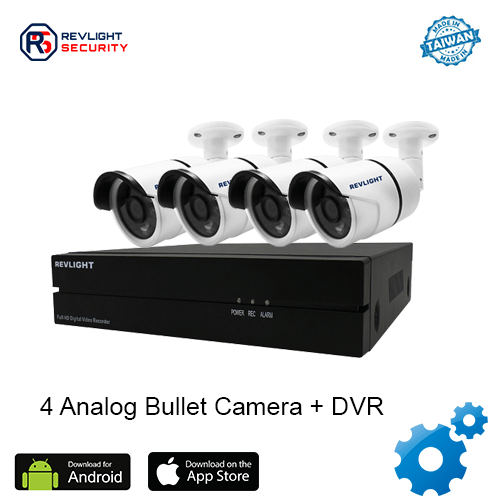 Our 4 Camera DVR Security System Consists of 4 analog camera including one 4 channel dvr system with 1 TB video recording storage, which has 1 year warranty. Get ‘Eyes’ Where You Need Them. 2+2 Camera DVR Security System / 4 Camera DVR Security System Does Just That. If you like to know what is always going on at your home or in the office, choosing to get a 2+2 camera surveillance system / 4 Camera DVR Security System is easy. High-Definition (HD) Video with 1080 lines of resolution enables you to see in great detail and with it’s wall/ceiling mount bracket and weatherproof housing you can easily install it anywhere. Here at Revlight Security, we offer the best HD CCTV Security cameras money can buy. 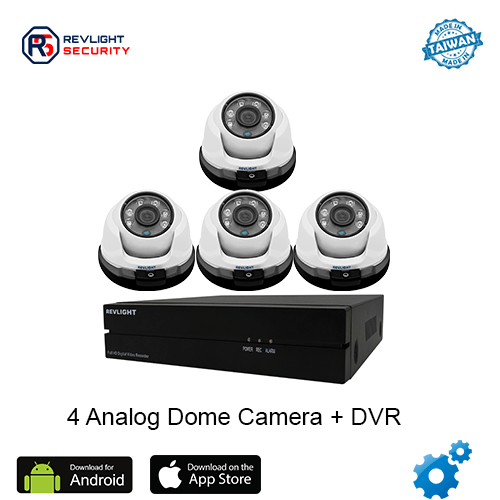 Get High Quality Picture with Revlight Security’s HD CCTV Security Camera Systems. If you choose a 2+2 camera security system with DVR you will have access to your video feed from anywhere. Our analog cameras paired with one of our Digital Video Recorders (DVR) come compatible with standard power/video BC (round) connectors and DVR Viewer Apps. Use the app to watch from anywhere at anytime or review past recorded video. Contact The Revlight Security Team! Operating one of our systems is simple and set-up is just as easy! If you aren’t sure which is the fit for you – just talk to our experts. They can help you make the right choice. Call our Revlight Security CCTV Team experts today for a free consultation at +65 6678-6557. Your security is our priority.